We carry out regular quality checks in order to ensure the best quality. There are ever more requirements to fulfil concerning the external quality of seeds. We are able to meet these by regularly checking whether the quality recorded when the goods first enter our warehouse has been maintained. Any fall in the germination rate can then be picked up and an affected batch removed from sales. Unfavourable conditions during the growing season may on rare occasions lead to the seeds not meeting our quality criteria and being unsuitable for sale. 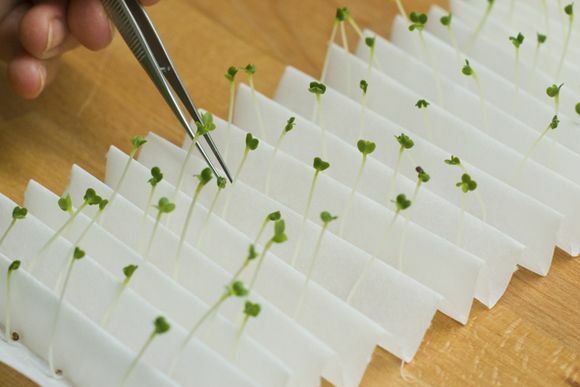 Germinating capacity is tested using the methods of ISTA (International Seed Testing Association). The germination rate given on the seed packet is true at the moment of dispatch. We publish the actual results of our germination tests on the page: Checking the germination rate of my seeds. Bingenheimer Saatgut AG has set its own minimum standard for each individual species. These are above the legal minimum seed germination rates. 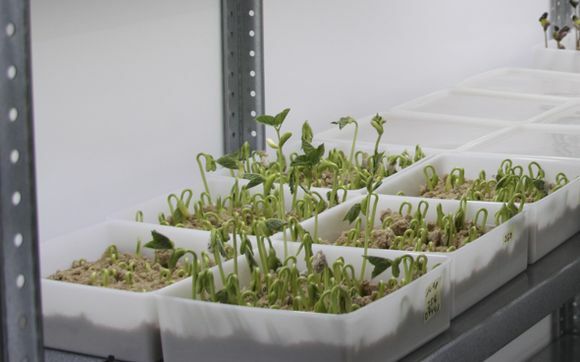 This involves putting seedlings through a stress test to see how well they grow under difficult conditions. This test developed for individual vegetable species, is modelled on the so-called "Maiskaltkeimtest in Ziegelgrus" of the ISTA standards. Testing for seed borne disease takes place either in house or in cooperation with the plant protection agency in Wetzlar or other institutions. 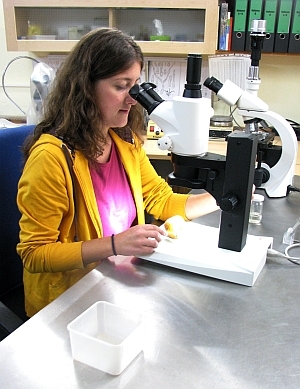 Seeds by their nature cannot be entirely free (sterile) of fungal spores or other micro-organisms. If there is a significant presence of a pathogen, that batch will be given warm water treatment. It is only possible to sell the seed if the treatment has been successful. The health of the crop out on the field depends not only on the quality of the seed but also on environmental conditions, cultivation systems etc.